People realize the Bertone Mantide is based on the $103,300 Corvette ZR1, right? I mean, we agree the interior is awful, but it's not the kind of problem it should take an extra $1.82 million to fix. 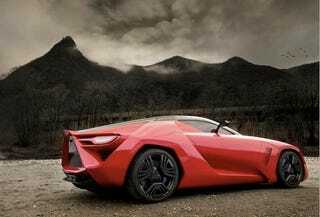 In total, Bertone plans to make 10 Mantides. Who else is silly enough to drop that kind of money on a body kit and some Alcantara inserts? Reportedly, Jay Leno is on the list.